In the heart of Meta di Sorrento, Villa Elisa Bed and Breakfast lies few steps from local train Circumvesuviana and bus stop to Sorrento and the Amalfi Coast. 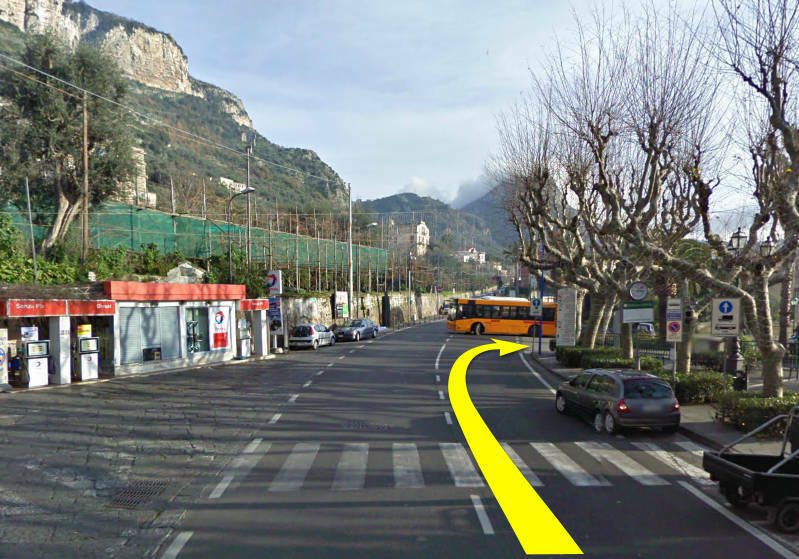 From highway A3 Napoli-Salerno, exit at C/Mare di Stabia, follow the indication to Sorrento and once arrived in Meta turn right on via Flavio Gioia , follow the road and you will find us 50 meter straight ahead the next cross road. Once arrived in "Napoli Centrale" train station, you need to take the Circumvesuviana local train to Sorrento and step out at Meta station. The trip is approximately 1 hour and 10 minutes and the service is every 20-30 minutes. At your arrival a two minutes walk will bring you to Villa Elisa B&B. There is the Curreri shuttle bus running from Capodichino Airport in Naples to Meta di Sorrento.